Is Medical Tyranny Trampling Our Civil Rights? Video Transcript: Is Medical Tyranny Trampling Our Civil Rights? Ty Bollinger: Is medical tyranny trampling on our civil rights? Charlene Bollinger: Keep watching to hear this enlightening presentation from Barbara Loe Fisher. With the technology revolution of the late 20th century, in the 21st century, the authority and influence of medical doctors and scientists has soared to new heights. As the mainstream media and the courts remind us every day in so many ways, science rules. We are told that scientists and medical doctors are the only ones who have the intelligence and knowledge to determine what is true. And ordinary people without medical degrees have no business questioning it. But has this gone further than that? Doctors in academia and government are now telling us how we should live our lives. In fact, we’re being told that not only must science be used to define all truth, but leaders in science and medicine are authorities who should define the good. That is define moral behavior, and what kind of cultural values we should have, and what kind of laws should be passed in order to limit the ability of individuals to make unscientific choices that presumably “endanger the public health and welfare”. That’s a whole lot of pressure for physicians who do not want to be put on a pedestal and required to exercise that kind of authority over the lives of fellow human beings. If for no other reason than it interferes with developing a relationship based on mutual respect and trust between physician and parent, or the parents of a minor child. The elevation of physicians and scientists as the arbiters of truth and morality, whose judgement should be never questioned, is profoundly changing our culture, and the laws that govern us. The codifying of medical practice into law is threatening human rights, including autonomy and privacy, and freedom of thought, speech, conscience, and religion. 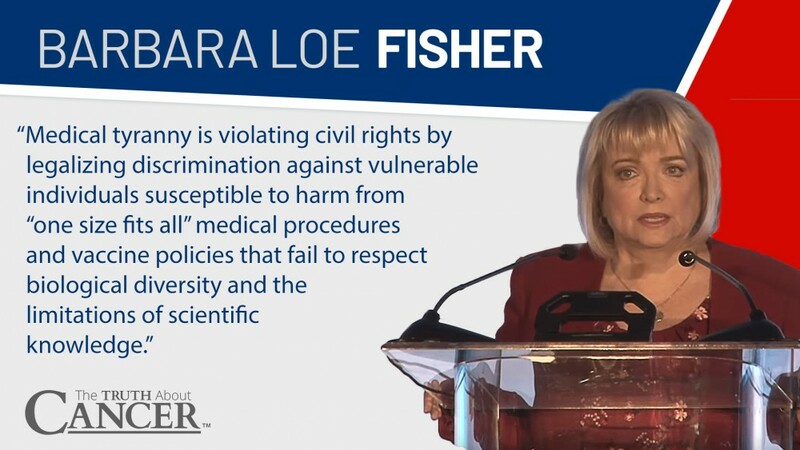 Medical tyranny is violating civil rights by legalizing discrimination against vulnerable individuals susceptible to harm from one size fits all medical procedures and vaccine policies that fail to respect biological diversity and the limitations of scientific knowledge. Medical tyranny is tyrannizing, delegitimizing parental rights, so that too easily children can be taken from their parents, declared wards of the state, and subjected to harmful medical procedures by doctors who are not accountable or liable for the harm they do because they are shielded by the government’s claim to sovereign immunity. In the process, enlightened physicians are being demonized for offering holistic health options like nutrition, and alternative biomedical therapies, homeopathy, chiropractic, acupuncture, and other less toxic alternatives to the pharmaceutical and surgery-based medical model. Compassionate doctors with integrity are being threatened with removal of their medical licenses if they refuse to act as agents of the state or corporations, and instead personalize healthcare by treating patients as individuals. These courageous and principled doctors, who respect the precautionary and informed consent principles, are the ones who should be leading the way forward in healthcare today. But they are being blocked by business deals that have been struck between industry, government, and medical trade associations. As the orthodoxy of consensus science and inflexible standards of medical care become law, as the pseudo-ethic of utilitarianism anchoring public health policy devalues individual life in the name of the greater good, the people are waking up and pushing back because they sense that something is terribly wrong. For more than a century, we the people have been saluting smartly, believing doctors would keep us well. We believed public health officials when they assured us that mercury-filled dental amalgams, chemical fluoride in drinking water, processed in pesticide-laden GMO foods posed no health risk, and that FDA-licensed drugs and vaccines were safe. Yet everywhere we look, children are chronically ill, and people are dying young in America. Children who are never well are underperforming in schools, many of them filling special education classrooms and hospital emergency rooms in numbers that doctors responsible for the public health cannot explain. One child in six in America is learning disabled. In 1976, it was one child in 30. One child in nine has asthma. In 1980, it was one child in 27. One child in 50 develops autism. In the 1990s, it was one child in 555. One child in 400 has diabetes. In 2001, it was one child in 500. And millions more are severely allergic to food, or suffering with epilepsy, inflammatory bowel syndrome, rheumatoid arthritis, thyroid disease, obesity, multiple sclerosis, and other conditions that involve inflammation in the body that never goes away. The U.S. has one of the worst maternal and infant mortality rates of all developed nations. And despite the War on Cancer declared in 1971 by scientists and politicians in the U.S., today, cancer claims the lives of more than half a million Americans every year; and is tied with heart disease as the number one killer of adults, and the leading cause of death in children after infancy. All this, while the life expectancy in the U.S. is dropping, not rising. And millions of seniors live their last days crippled by Alzheimer’s and Parkinson’s disease. With this spectacularly failing public health report card, what is organized medicine’s response to people demanding the freedom to take control of their own health? What is the response from medical trade associations, like the American Academy of Pediatrics and government health agencies that have persuaded politicians and judges to give doctors unprecedented authority to decide what we do to our bodies? The response of many leaders in organized medicine is to double down, ignoring the precautionary principle of “First, do no harm,” and violate the informed consent ethic. Leaders of the wealthiest and most politically power profession in America are circling the wagons and bringing the hammer down on patients and physicians who dissent from strict adherence to inflexible medical standards of care and public health policy. If, when, and how to vaccinate your children can be a difficult road to navigate. Go here to get the information you need to make a fully informed decision that’s right for your family. The post Is Medical Tyranny Trampling Our Civil Rights? appeared first on The Truth About Cancer.